The Orange tip, belongs to the family of Pieridae, this spring butterfly flies in a single generation from mid-March to late May in Provence. 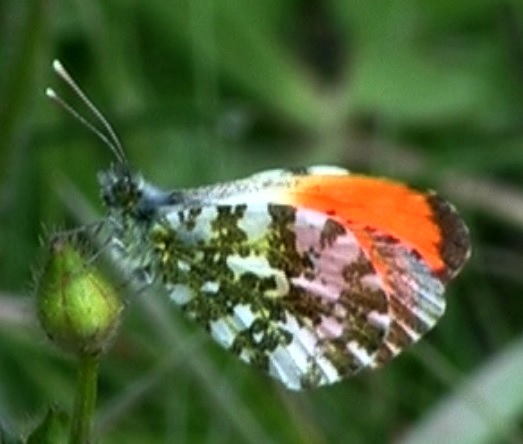 The sexual dimorphism of the Orange-tip is very marked and apparent; the apex of the male's fore-wings carries the famous orange spots, bordered by a small black band (both sides). The upper side of the wings of the female Orange-tip is mainly white and resembles other white Pieridae although it has the same black band at the apex as the male. At rest, the Orange-tip closes its wings and its mottled green and white hind-wings ensure excellent camouflage. This underside, similar for both sexes, is characteristic of the Anthocharini tribe. In the Midi, the Orange-tip lays her eggs especially on the hairy rock-cress (Arabis hirsuta). 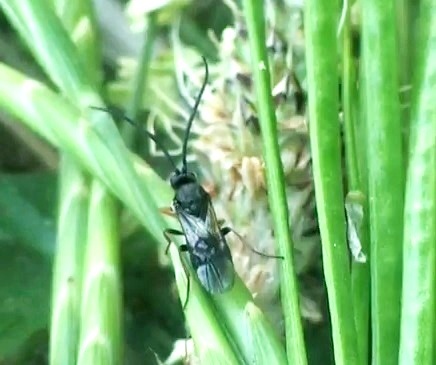 The parasitoid wasp Cotesia saltator (Thunberg, 1822) is a parasitoid of Anthocharini and is commonly reared from Anthocharis cardamines much less often A. euphenoides and Euchloe crameri. One egg is injected into the body of the jong caterpillar. The larva lives insite the body of the caterpillar and leaves its host before pupating. The parasitoid wasp Microplitis retentus (Papp, 1984) parasitizes the young caterpillars of butterflies belonging to the tribe Anthocharini of the family Pieridae. This wasp of 5 mm parasitized a young caterpillars of the Orange tip (Anthocharis cardamines (Linnaeus, 1758)) . Using its ovipositor, it inject a single egg in its victim. The parasitoid larva develops inside its host (endoparasitoid) where it lives off the haemolymph, without preventing the host's growth. 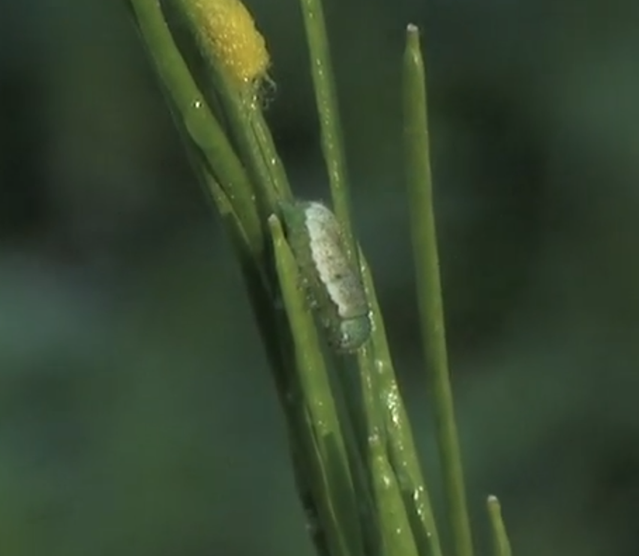 When the caterpillar becomes about 15 mm it climbs high up on the food-plant, and after some time the larva erupts between the 2nd and 3rd abdominal prolegs, and then it immediately spins a cocoon next to the caterpillar, which remains alive for a few days. In the rearing shown here, the wasp emerged from its cocoon quite rapidly, and there is then a further generation, overwintering in the cocoon. However, it may be more usual for there to be only one generation, with harder and darker cocoons that withstand not only the rest of the summer but also the winter.